Netizens all over the world went `oooh aaaah so cute’ over a picture of what seemed like a squirrel piggy-backing on a kingfisher. However, unknown to many of them, there was a more sinister side to that picture. That squirrel was actually a carnivorous weasel that was actually trying to murder the poor bird for food, ninja style! 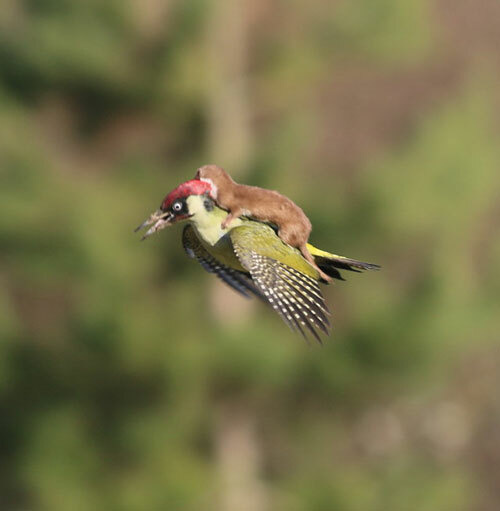 Martin and his wife thought it was the end for the green woodpecker, but it was able to get away.